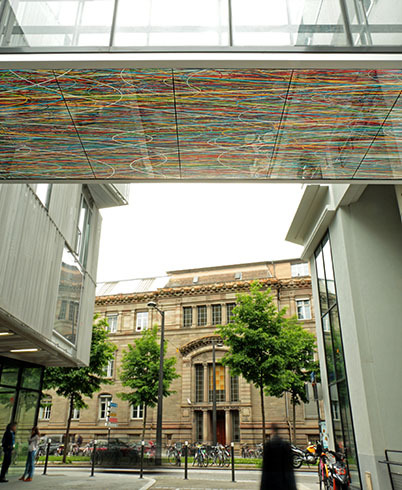 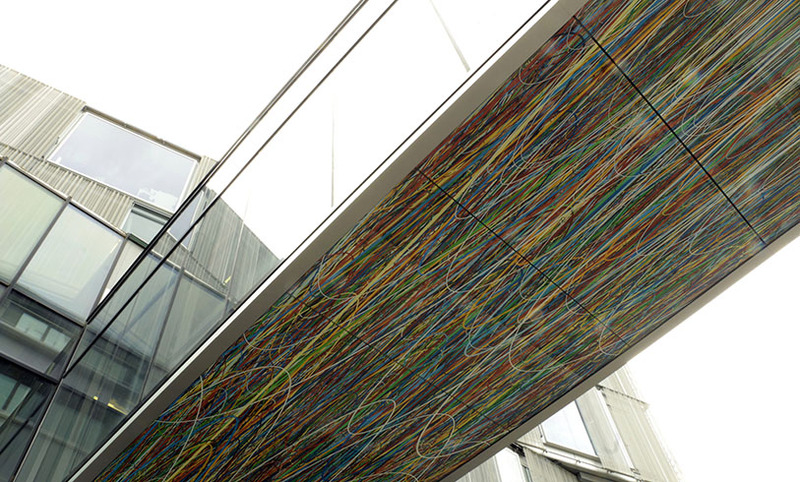 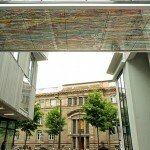 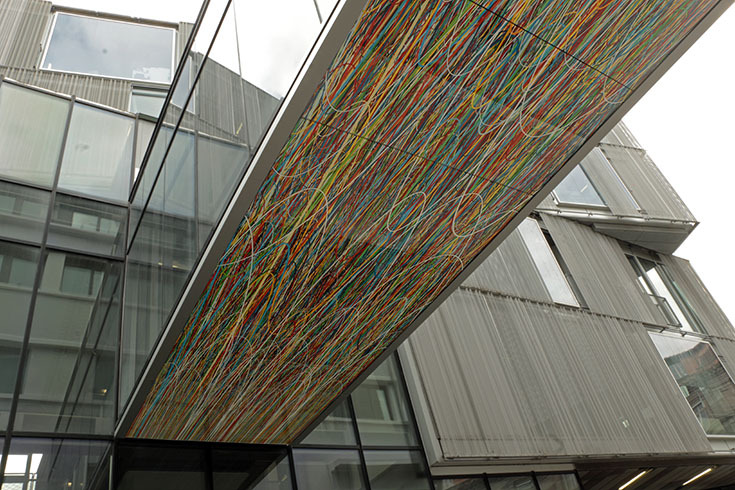 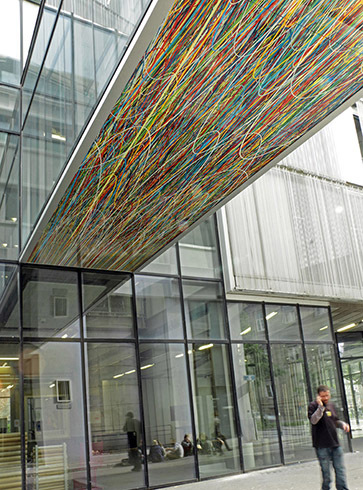 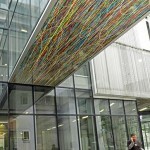 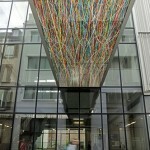 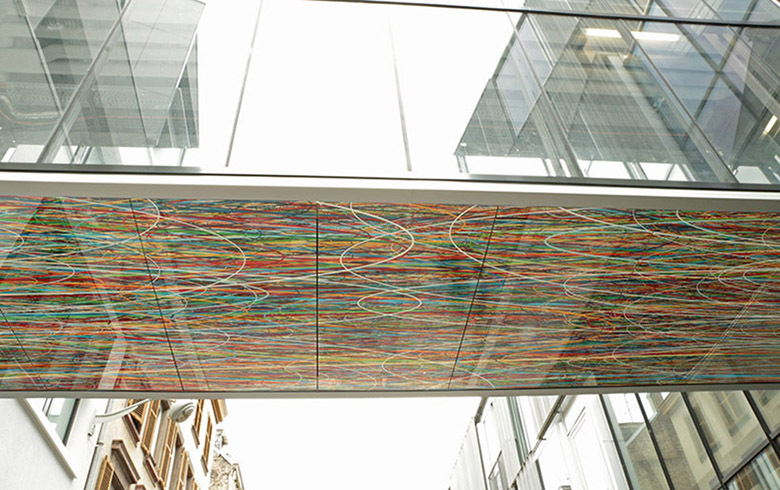 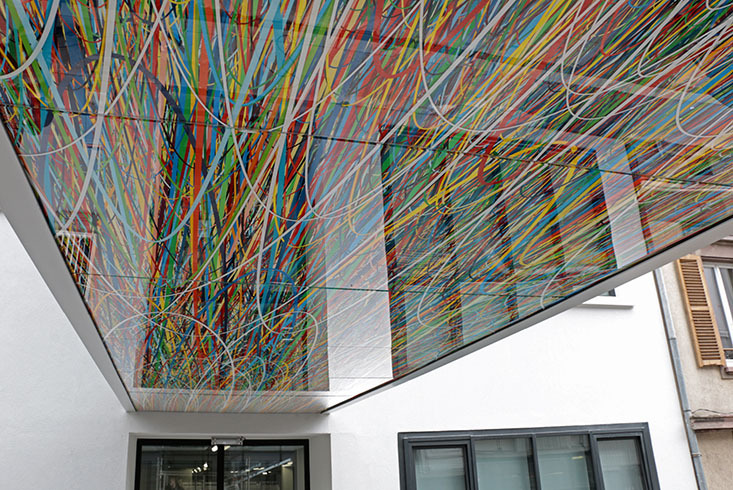 Pascal Dombis and Gil Percal ‘permanent artwork, Ligne-Flux, is a large printed glass under-face of a footbridge, linking 2 buildings of the newly National School of Architecture in Strasbourg (France). 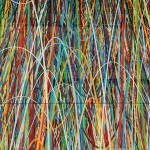 The printed pattern is a proliferation of thousands of line-curve shapes, through the use of an organic growth algorithm which makes the line-curve proliferate endlessly and at various scales. 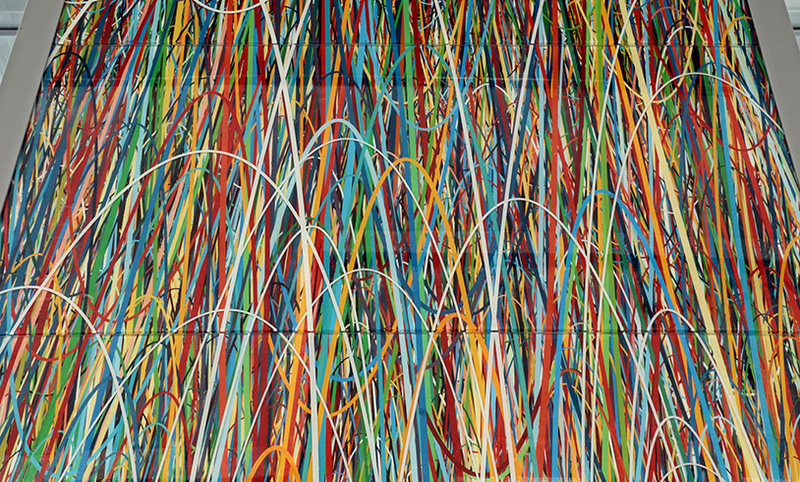 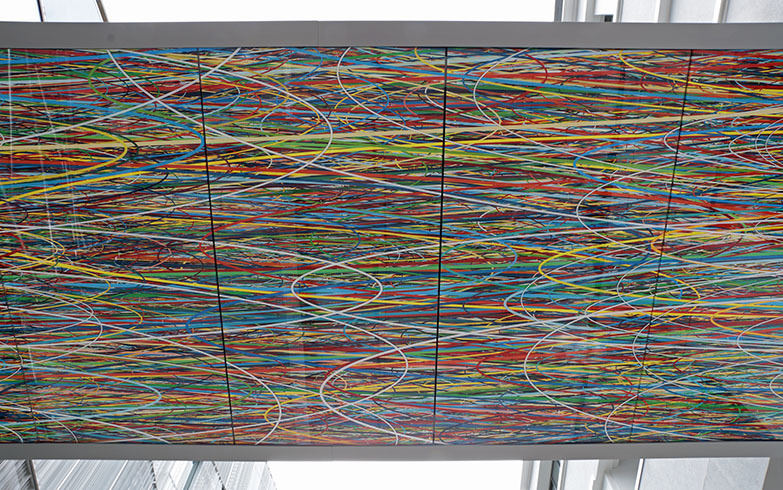 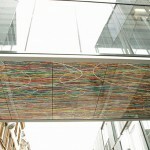 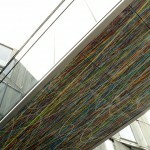 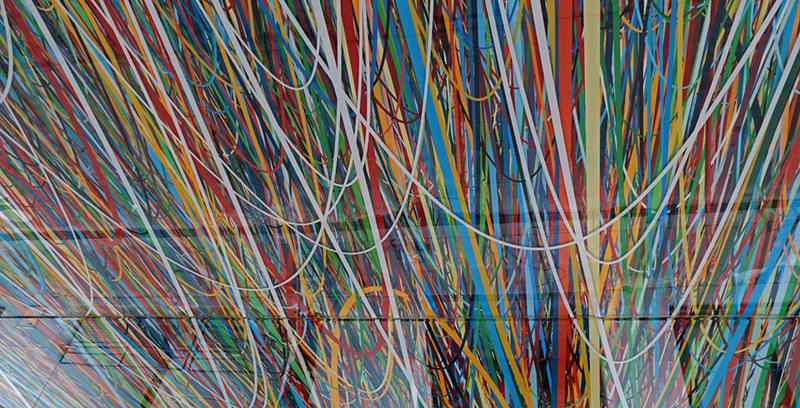 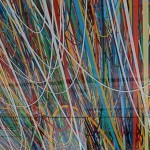 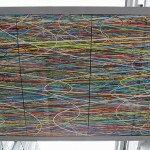 It employs randomness in color, so that each line-curve has a unique color, producing a vibrant visual effect as one walks under the bridge. 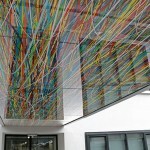 The artworkLigne-Flux creates dynamic spaces that offer another kind of mapping in which networks, connections and flows come into play. 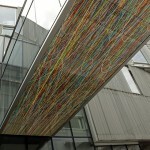 The artist Pascal Dombis and the architect Gil Percal collaborates regularly on Public Art projects. 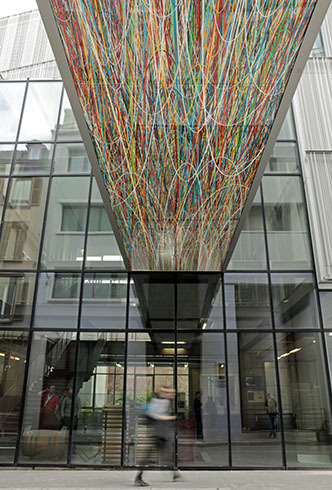 Ligne-Flux was commissioned by the French Ministry of Culture, part of the 1% scheme under which 1% of any new public building construction budget have to be set for a public artwork creation.